Day 7: Taiwan, 4 December 2014. In the morning, Thaye Dorje, His Holiness the 17th Gyalwa Karmapa, met the Deputy Governor of Changhua, Mr Huang Ying Chi. Changhua, nicknamed the Bamboo Town, is one of the largest cities in Taiwan. The Governor was travelling, and the Deputy Governor accepted a gift of a beautiful Buddhist statue on his behalf. Karmapa gave a short speech, and led the monks in a prayer. 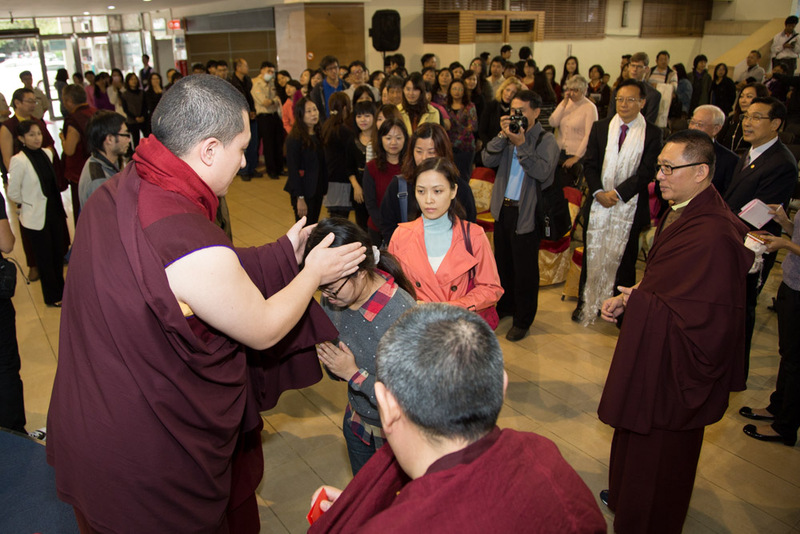 Many members of the public had come, and Karmapa gave blessings.